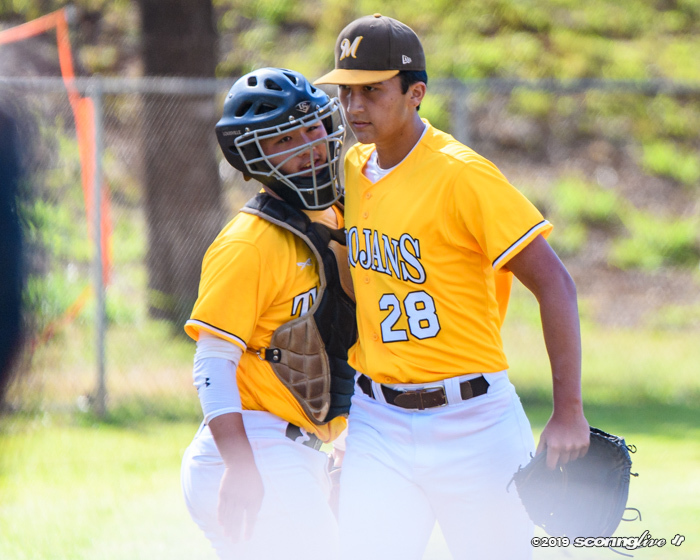 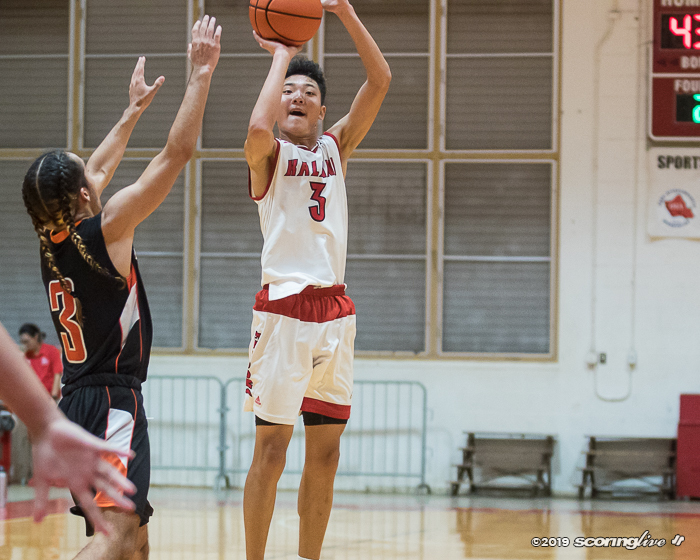 KAHALA — Playoff Isaiah was unlocked Tuesday night. 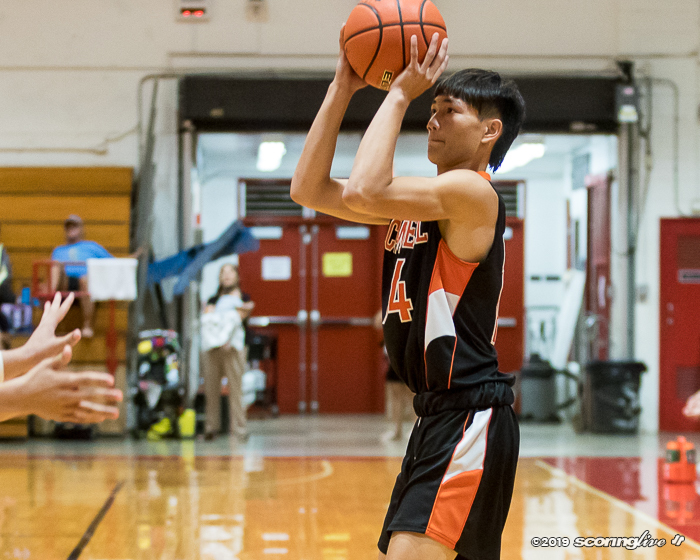 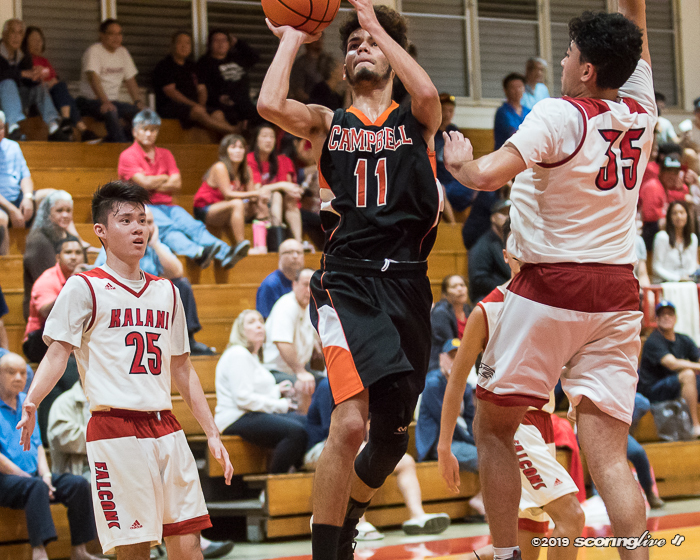 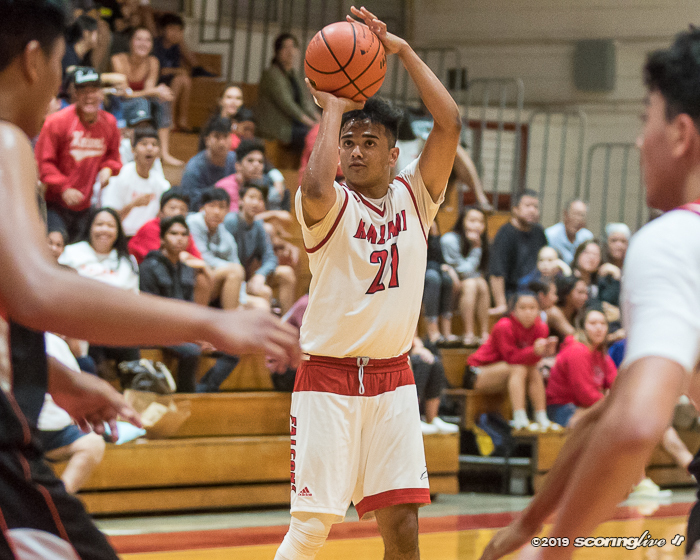 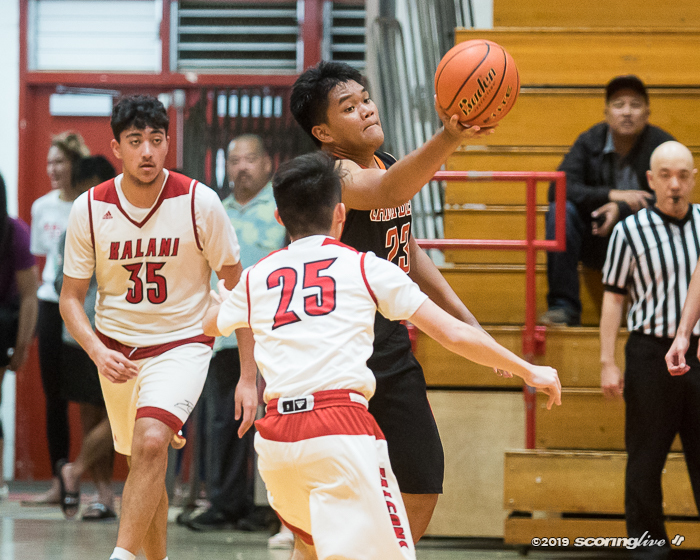 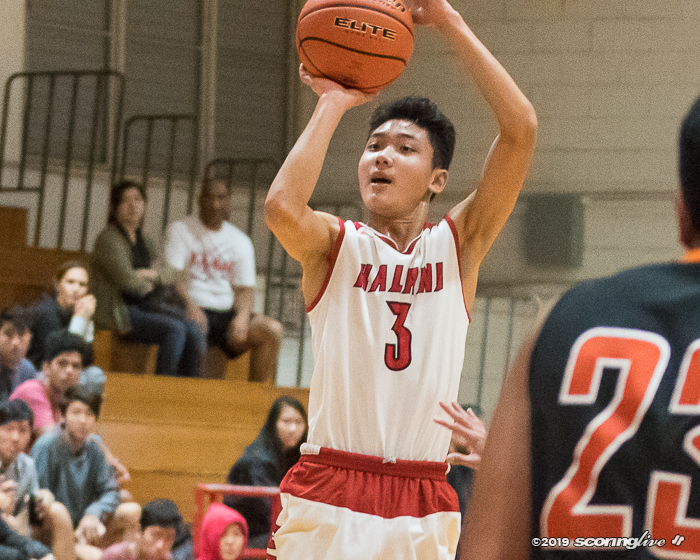 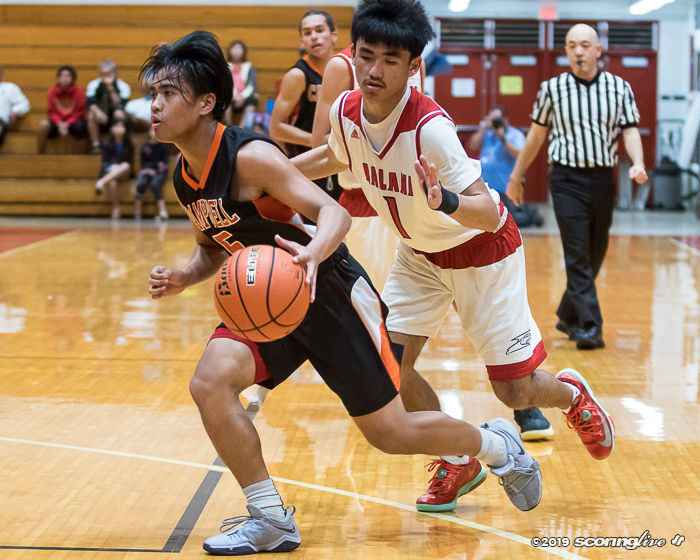 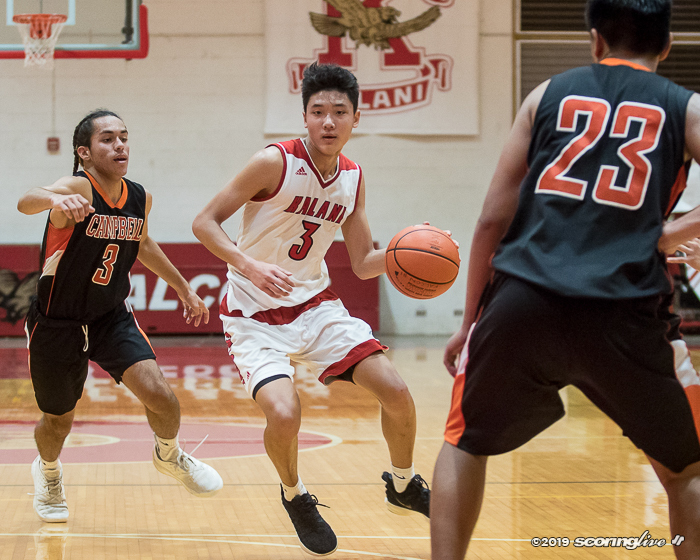 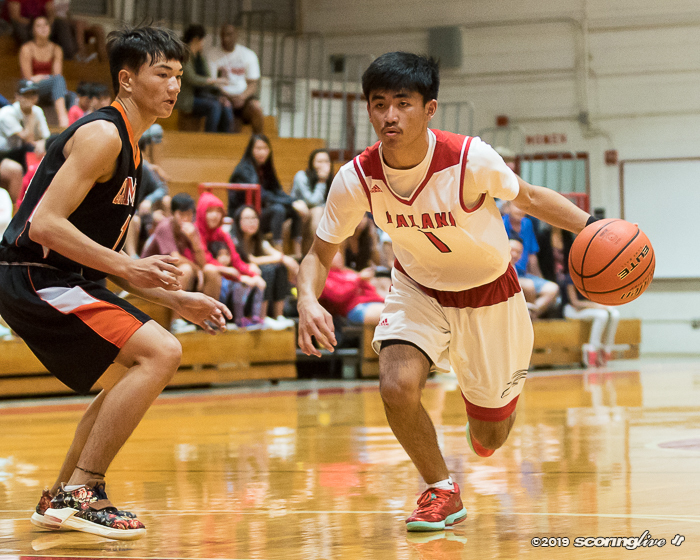 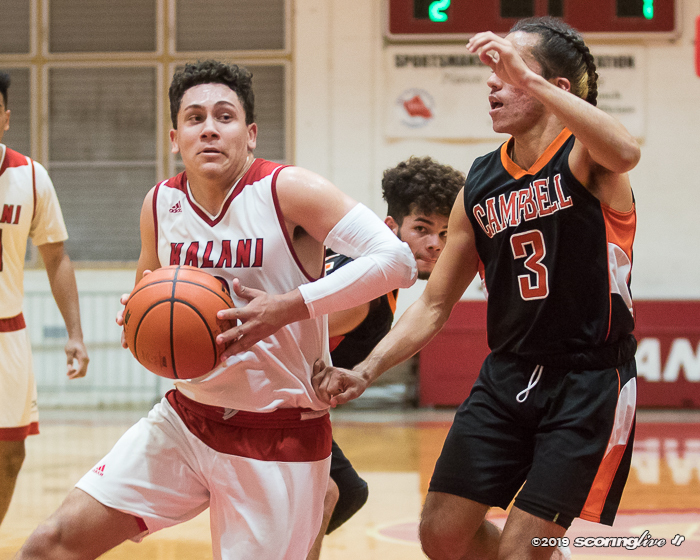 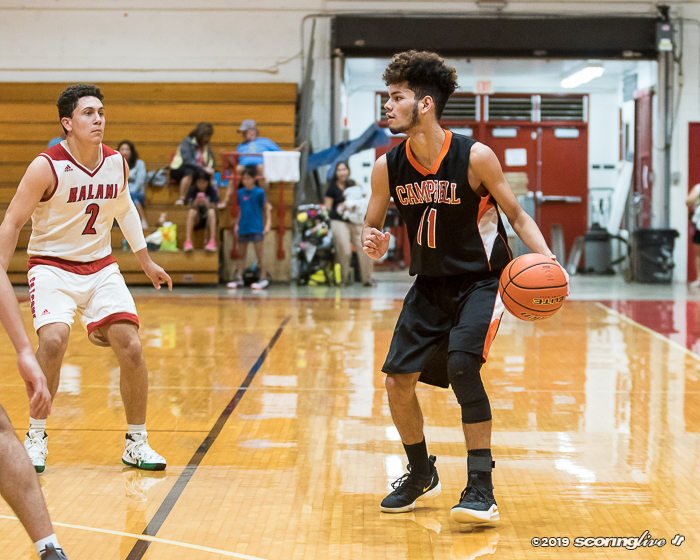 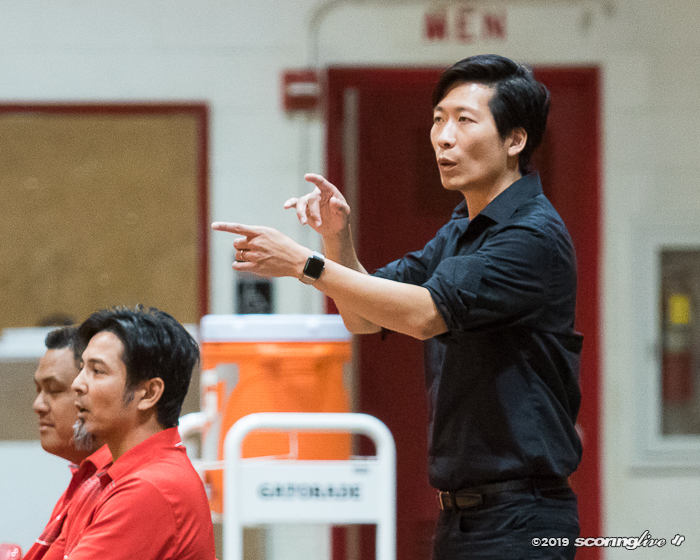 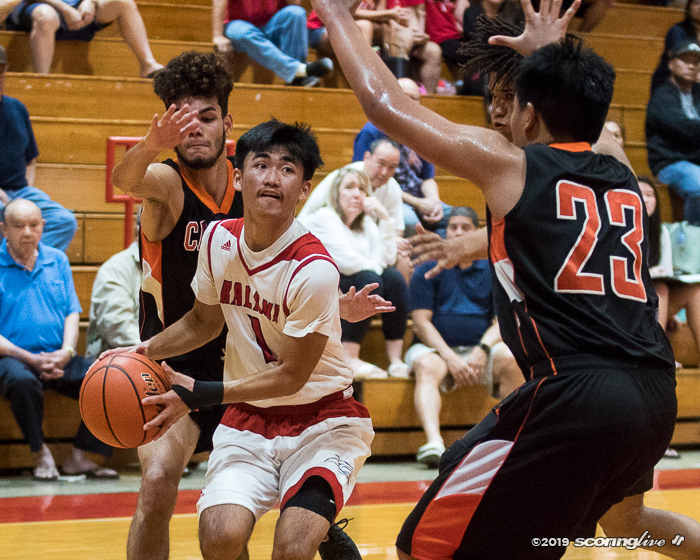 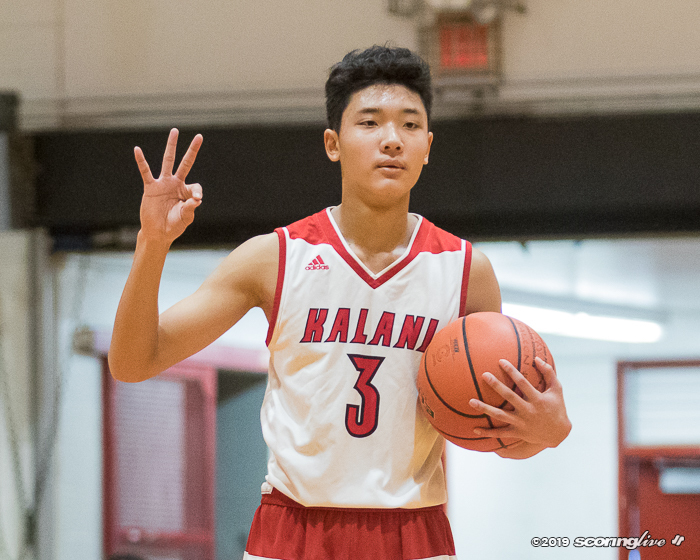 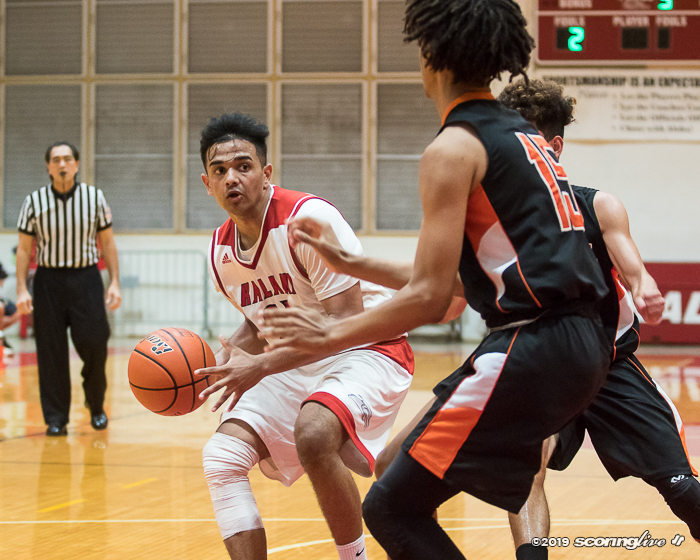 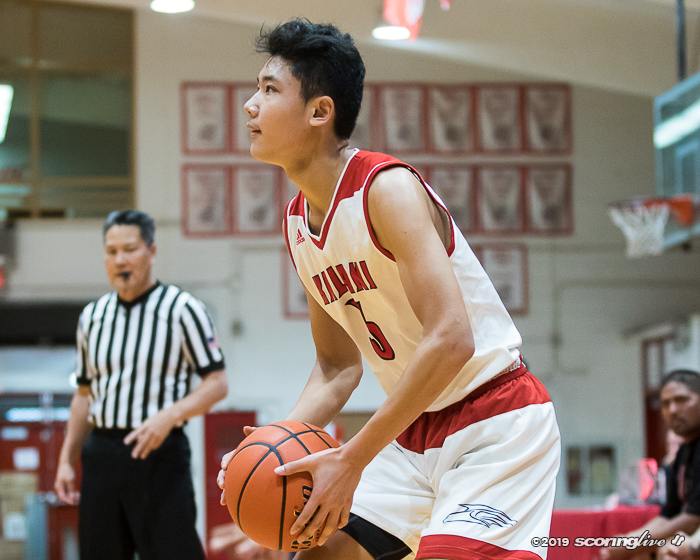 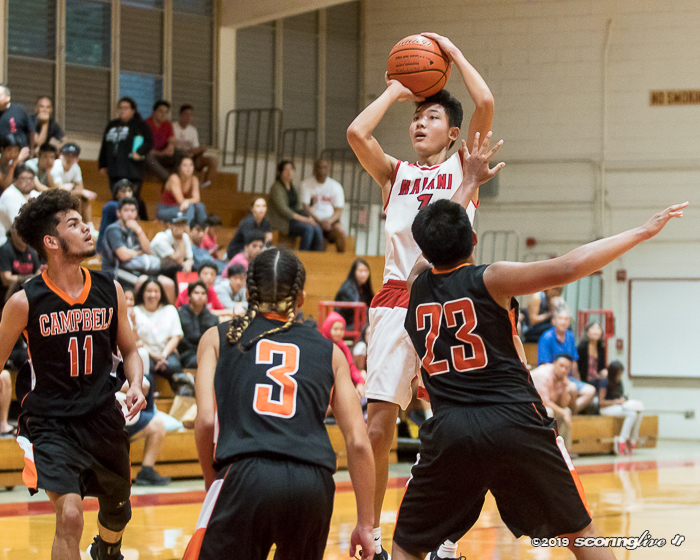 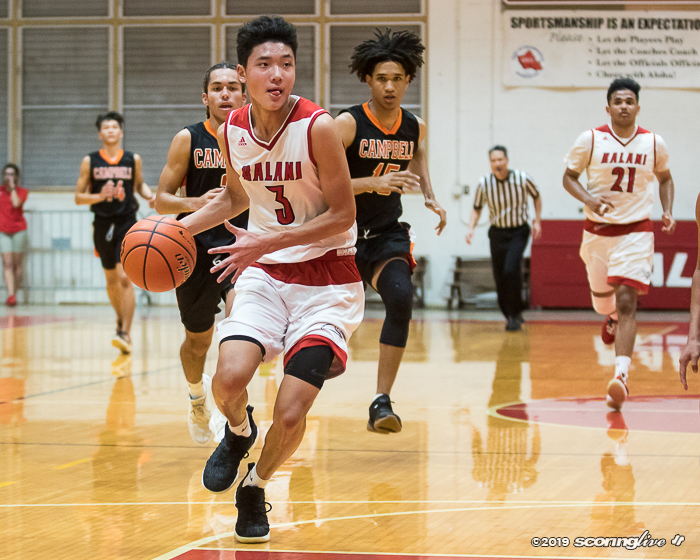 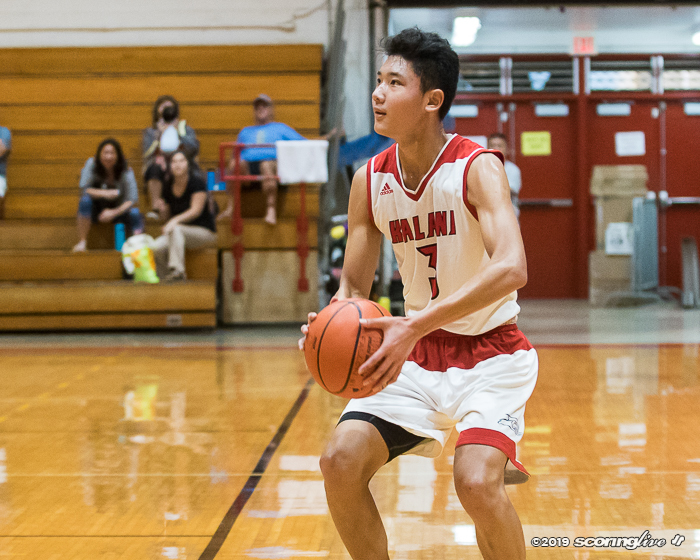 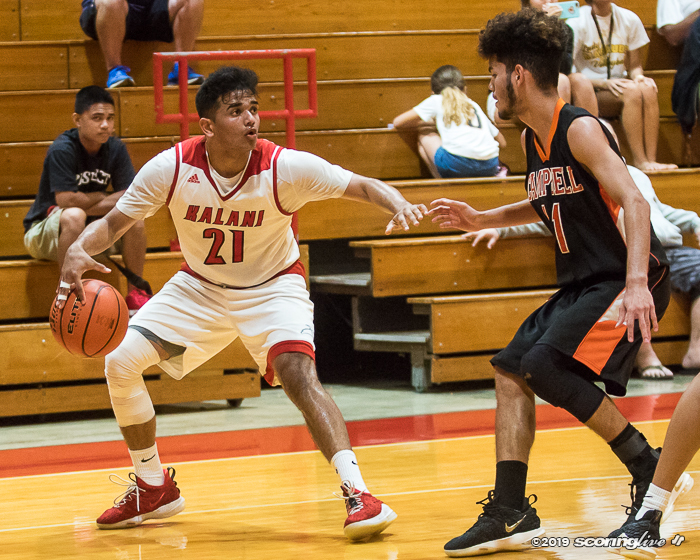 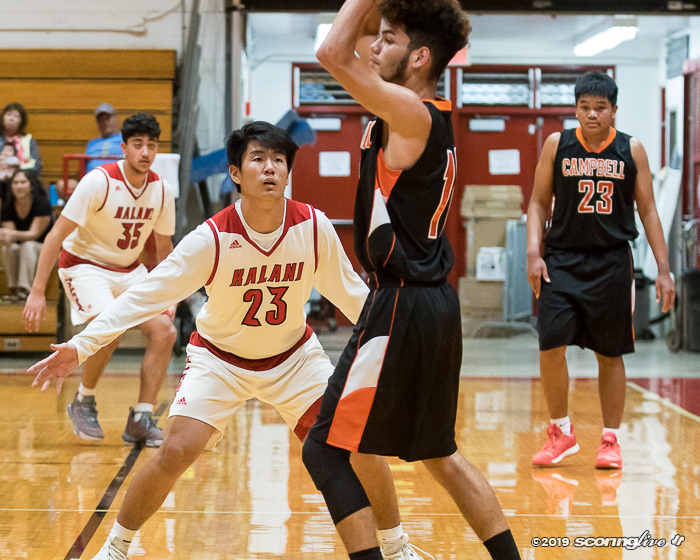 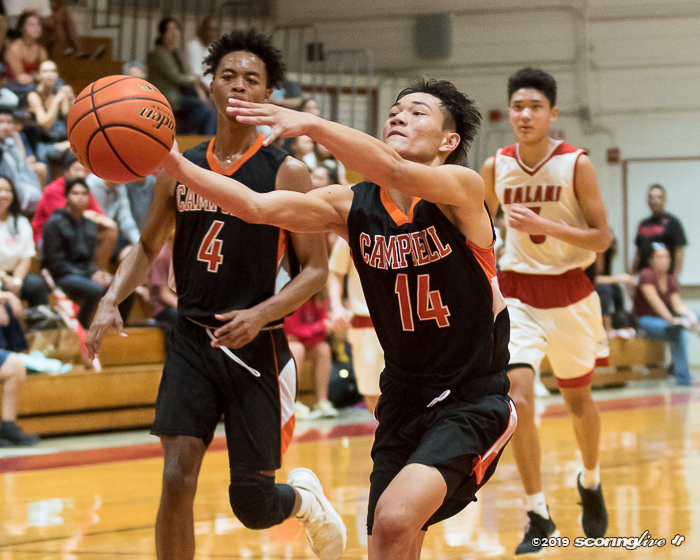 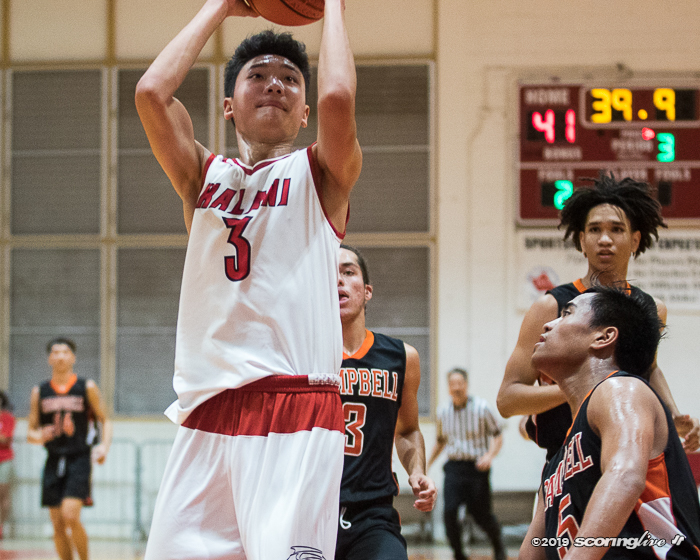 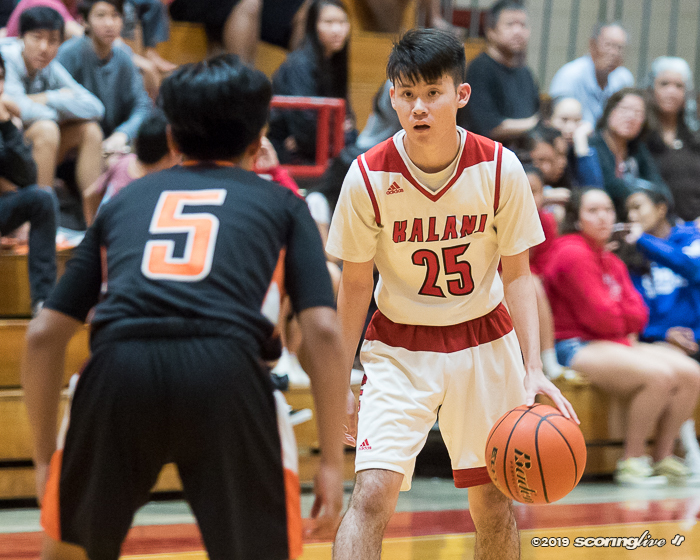 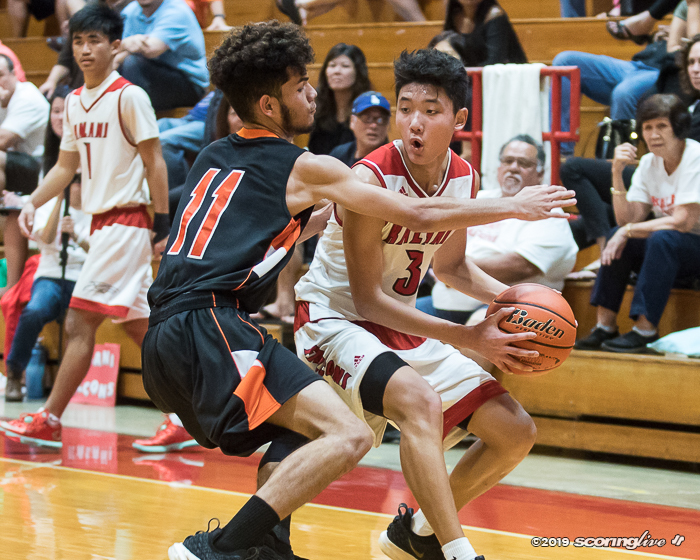 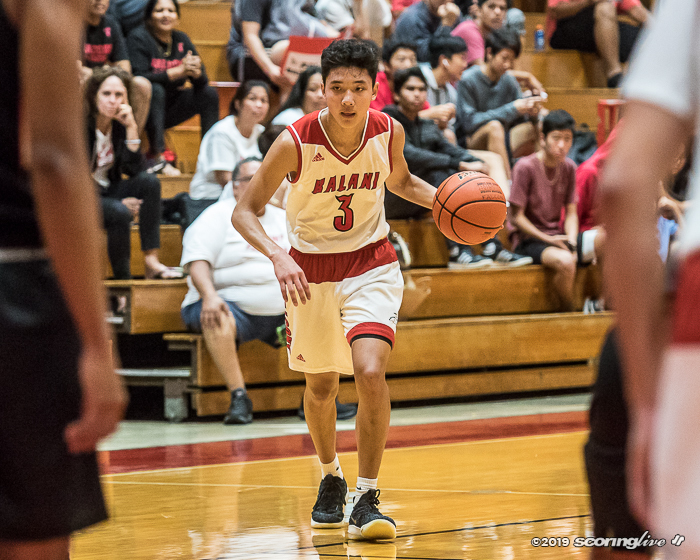 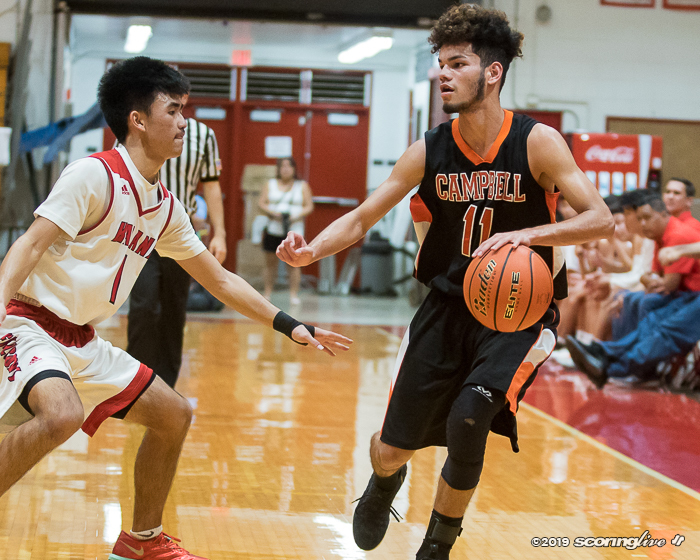 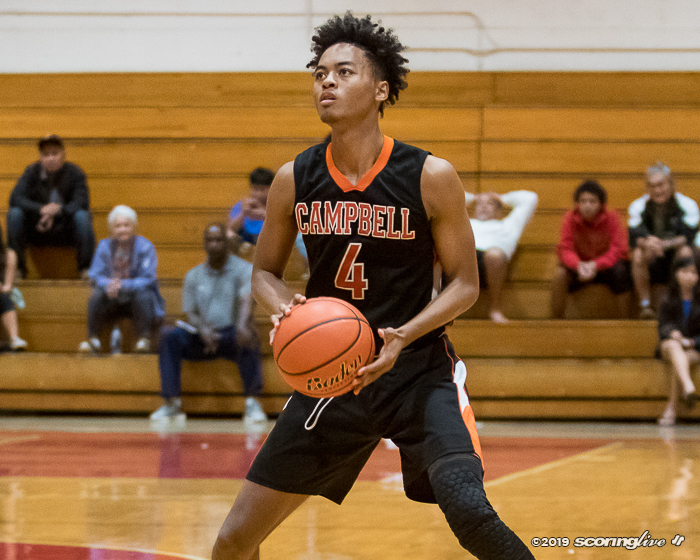 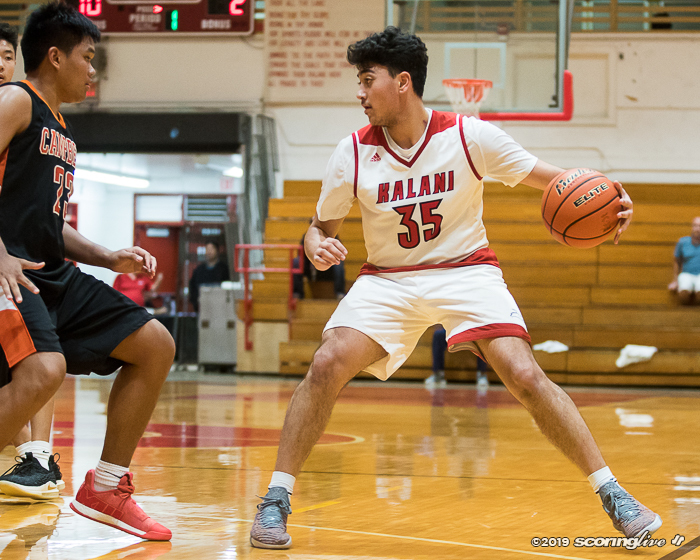 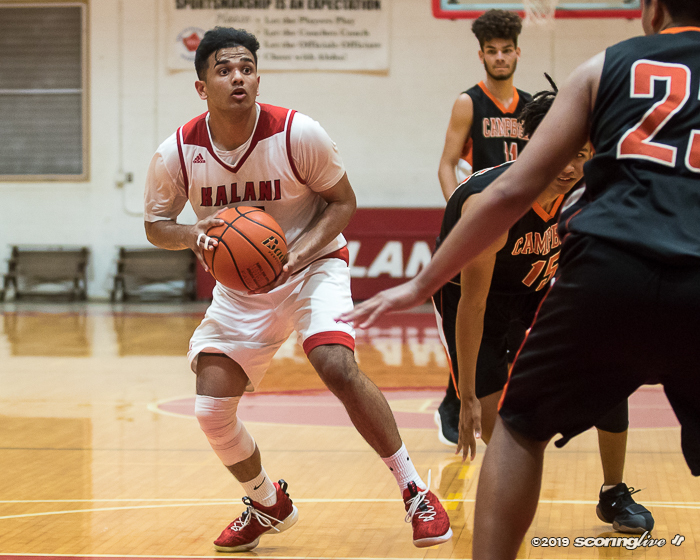 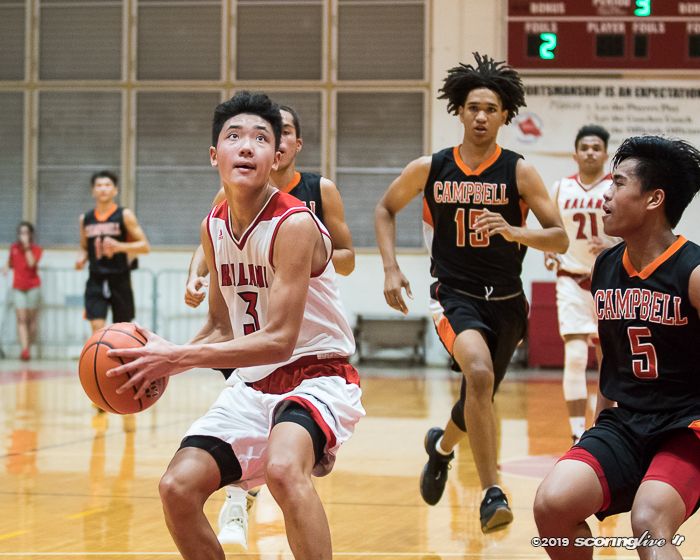 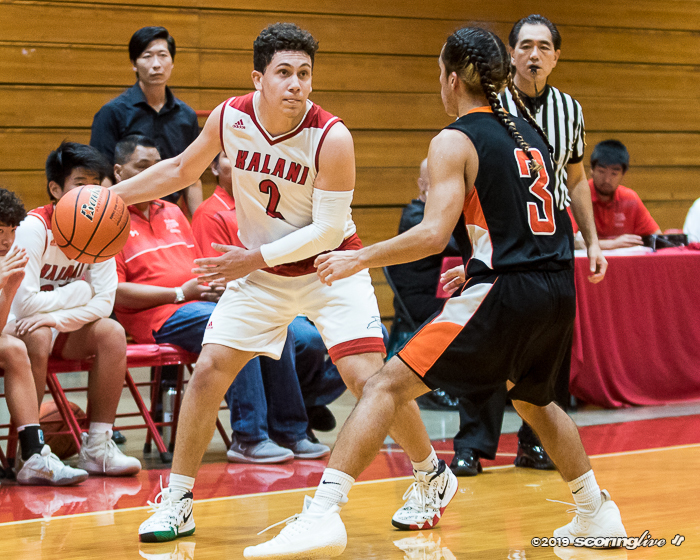 Isaiah Lee scored a career-high 33 points with five treys to lead Kalani to a 61-44 win over Campbell in the opening round of the OIA Division I playoffs at Earl C. Holmer Gymnasium. 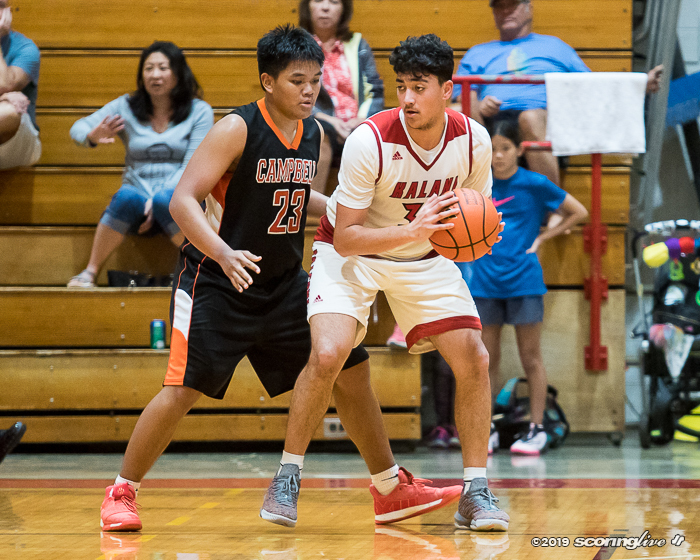 The 6-foot-1 senior guard also added seven rebounds, five steals, two assists and a block to power the Falcons to the quarterfinals where they will travel to face No. 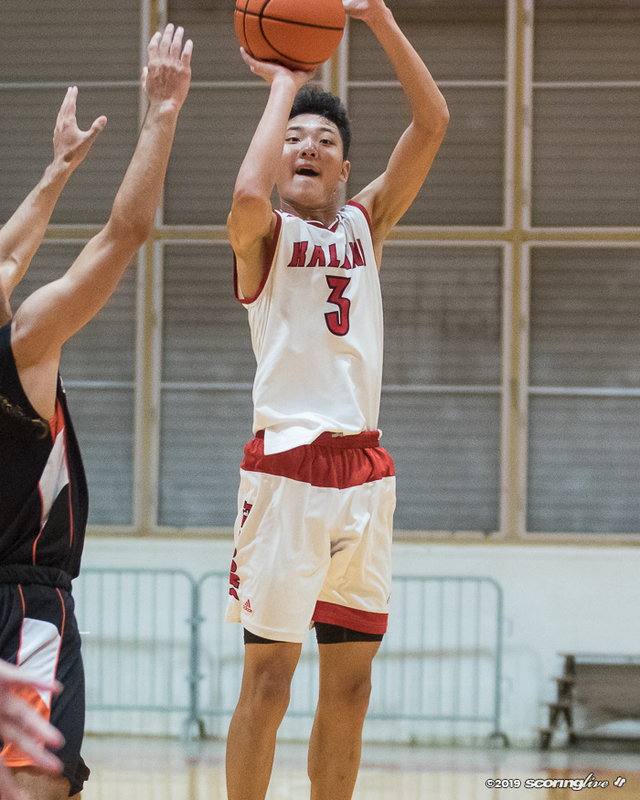 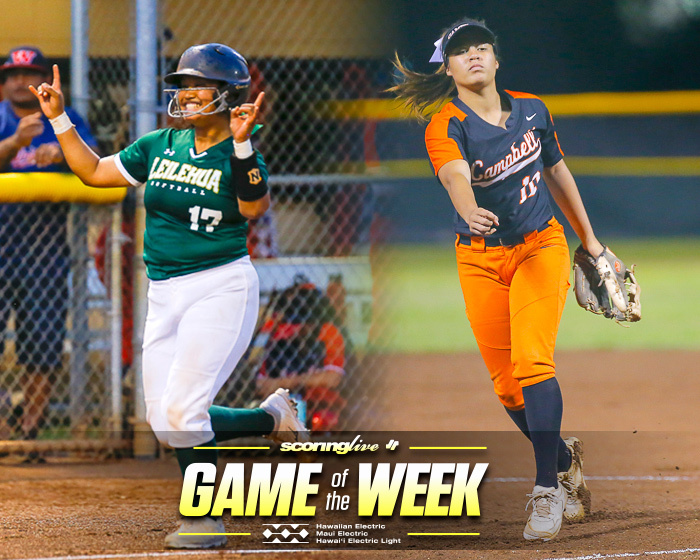 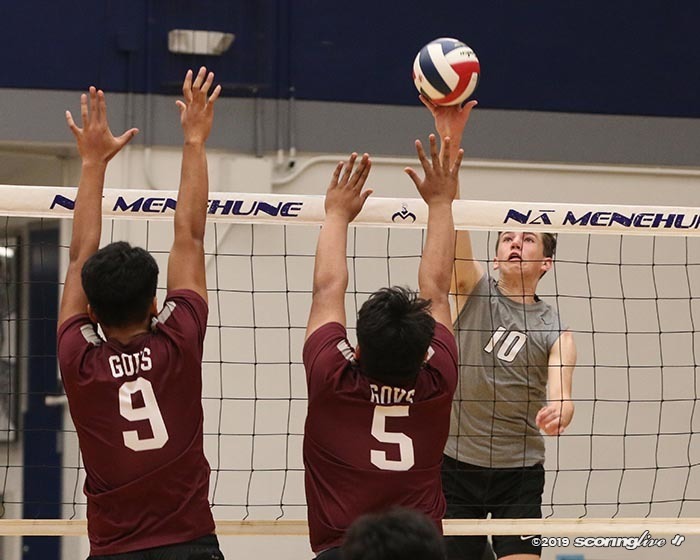 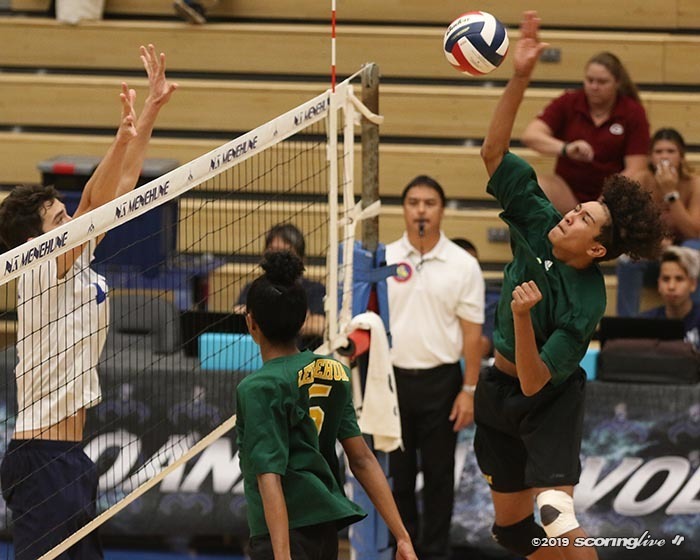 7 Kapolei (10-0 league), the West's top-seeded team, Wednesday at 6:00 p.m.
Kalani (8-4 OIA), the East's fourth-seeded team, jumped out to a 22-5 first quarter lead and never looked back in its playoff victory. 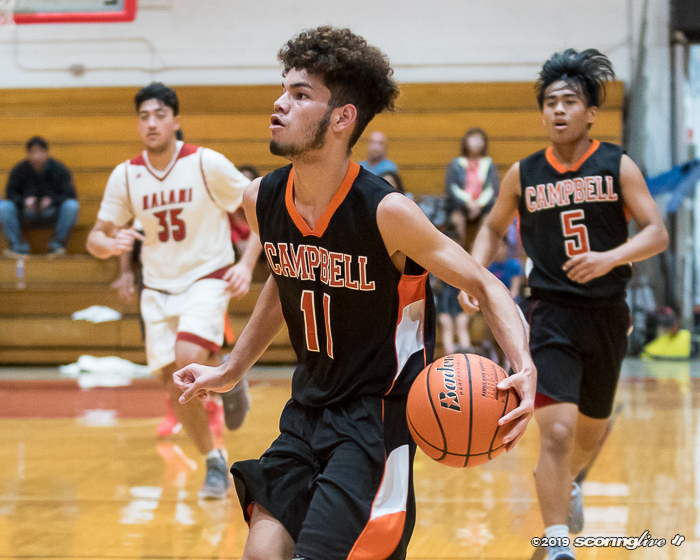 Campbell (5-6 league), the West's fifth seed, scored first on Kaimana Preza's putback, but four straight turnovers resulted in a 15-2 lead for the Falcons. 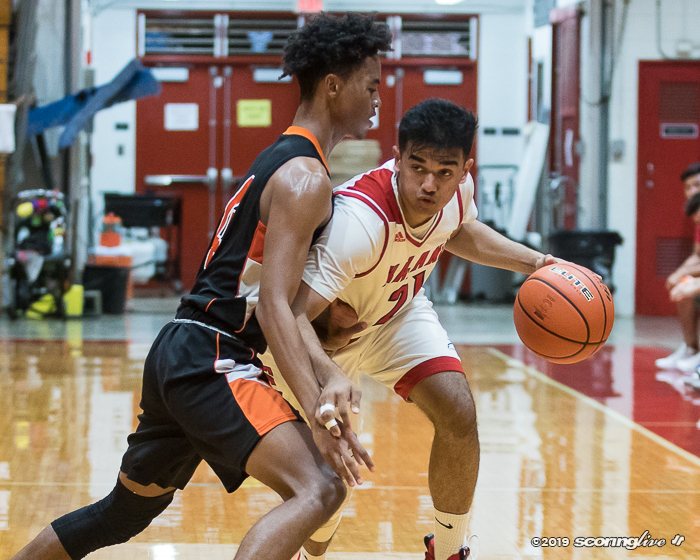 Lee scored 16 of his 33 points in the first quarter, with 12 of them coming on four triples. 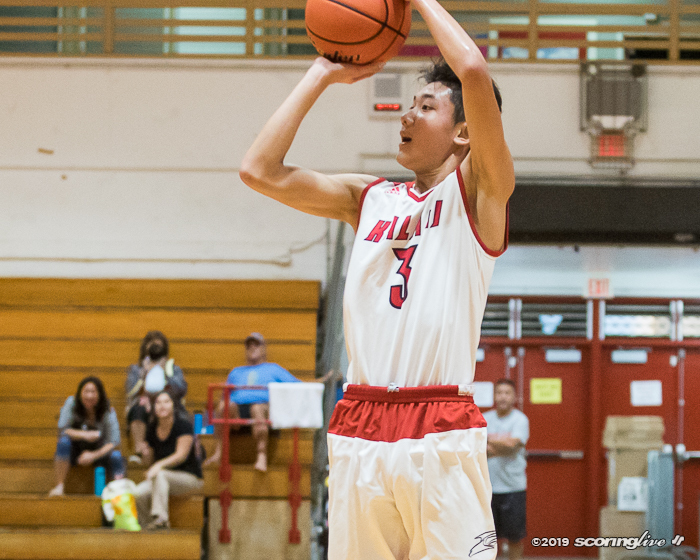 Brandon Chung also had a double-double of 12 points and 13 rebounds for the Falcons. 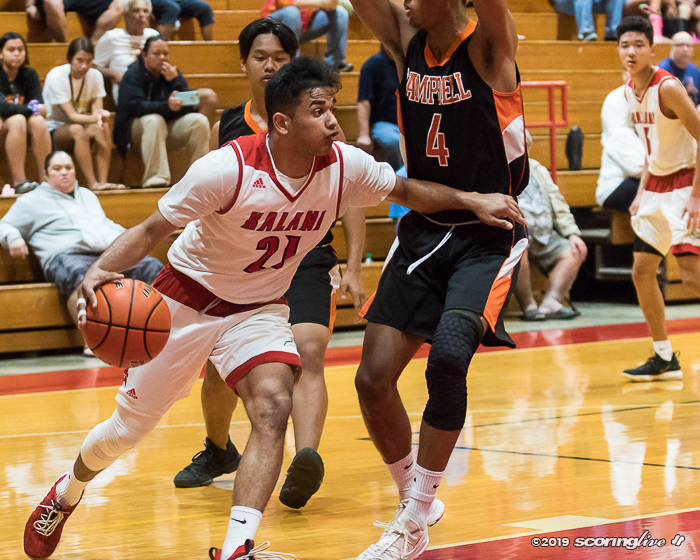 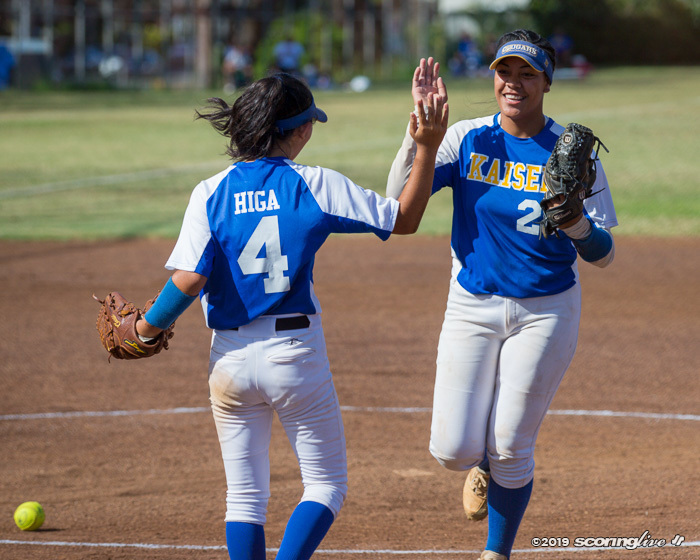 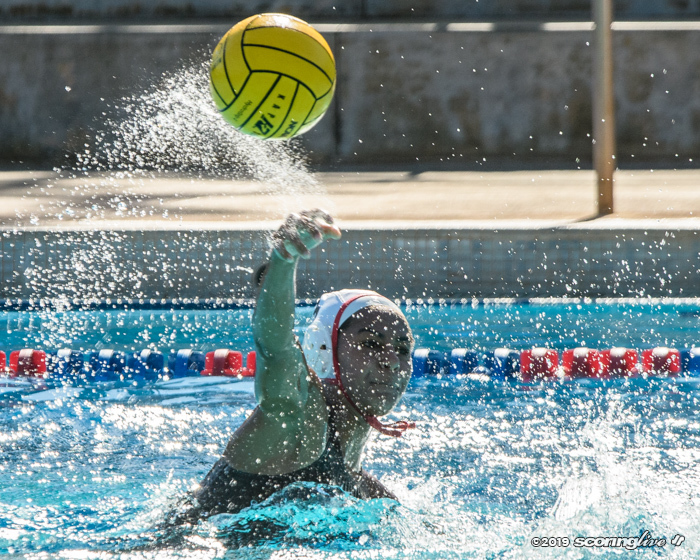 Kalani had a 33-13 lead at the half and led by as many as 21 in the contest. 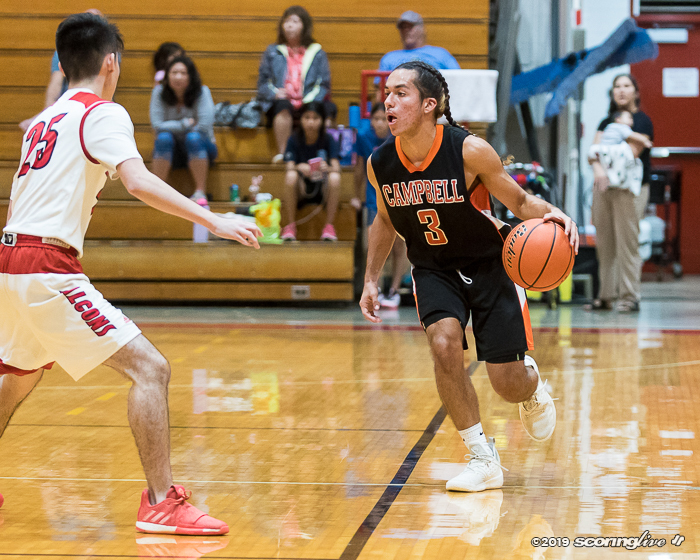 Campbell outscored the Falcons in the second half, but could only get the deficit down to 13 at best. 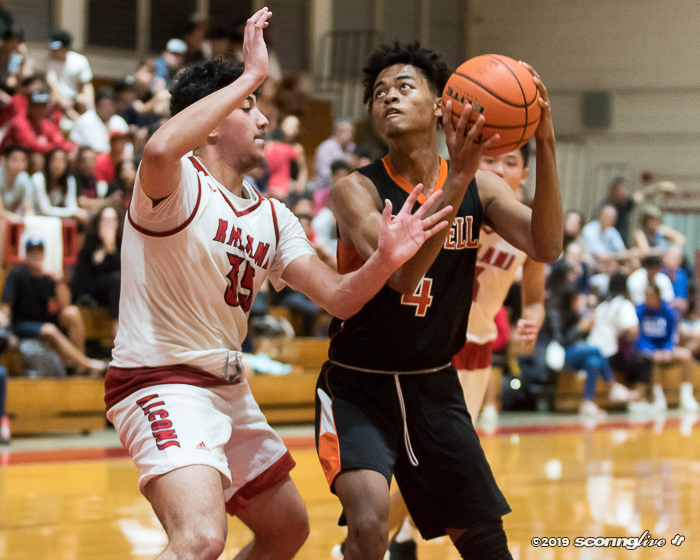 Mitchell Williams had 13 points and seven boards and Preza added eight points and 11 rebounds to lead the Sabers in their season-ending loss.